Have You Tried Vanicream for Eczema? Eczema is a term often used to describe sensitive skin, easily irritated by soaps, wool, diet such as milk products, or environmental factors. We have been suggesting our favorite over-the-counter cleansers and lotions for the prevention and treatment of pediatric eczema. Our next choice is Vanicream skin care products. Vanicream skin care products are formulated for those who want to avoid common irritants found in many well known, national brands. Recommended by dermatologists and other physicians for patients with skin conditions, Vanicream products are also great for anyone who wants soft skin without chemicals. If you like Vanicream, take a look at Free & Clear products that are from the same manufacturer. 1. Vanicream Cleansing Bar – This is a mild cleansing bar for face, body, and hands specially developed for people who want to avoid common chemical irritants. Moisturizes while gently cleansing the skin. Free of dyes, perfume, fragrance, and masking fragrance, parabens, lanolin, and formaldehyde. 2.Vanicream Moisturizing Skin Care Cream – Vanicream Skin Cream is for those with extremely sensitive skin conditions such as atopic dermatitis and eczema because it is free of most common irritants. 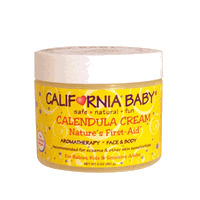 The cream goes on non-greasy and can be used on dry skin on the face, hands, and body. It is non-comedogenic dye free, perfume/fragrance free, lanolin rree, paraben free, and formaldehyde free. 3. Vanicream Lite Lotion – Vanicream™ Lite Skin Care Lotion is a face, hands, and body lotion specially formulated to moisturize dry skin. Carefully chosen ingredients effectively moisturize the skin without exposing the user to common chemical irritants found in most ordinary lotions. Formulated without dyes, fragrance and masking fragrance, lanolin, parabens, and formaldehyde. Ideal for use by the entire family. Vanicream™ Lite Skin Care Lotion is non-greasy, long-lasting, easy to apply, and quickly absorbed. For normal and sensitive skin. 4. Vanicream Sunscreen, Sensitive Skin, Spf 60 – This is a high sun protection product which helps prevent sunburn without being irritating to the skin. It contains Zinc Oxide, which offers protection from UVA as well as UVB and contains antioxidants to help prevent skin damage. I have red dry itchy skin. I use Vanicream cleansing bar and it's wonderful, my skin not red and dry anymore. My 11 month old son still suffers from very bad eczema. Before vanicream, I had purchased the entire isle of things at our local drugstore and no oitments, lotions or soaps that were prescribed or otherwise did anything for him, until we meet with a children's dermatologist who recomended vanicream and it has worked wonders! It did not clear the eczema completely, but it was a vast improvement and I still exclusivley use vanicream on him to this day beacuse no other lotion and soap can keep his skin from becoming rough, dry and cracked. I am including prescriptions in my list of products we've tried for him.